Any snack that you can stuff your face with without having to feel too guilty about later is A-okay with us! 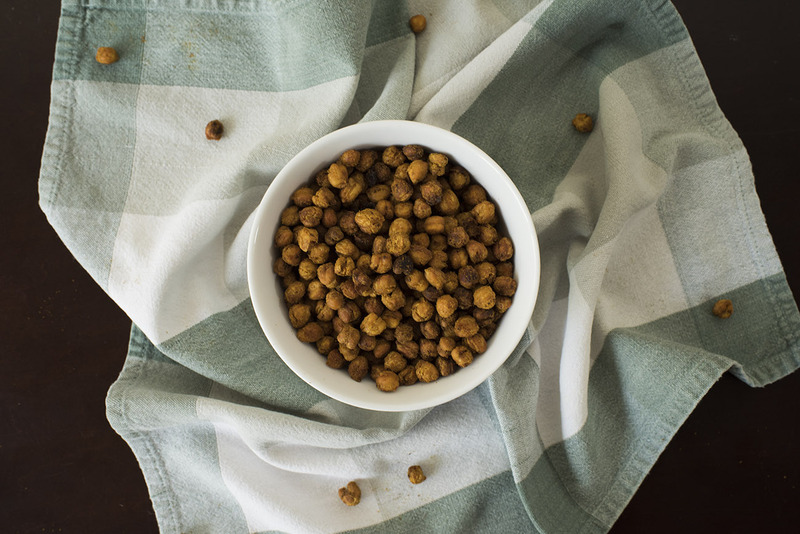 We all know popcorn is a relatively healthy snack, but allow us to introduce you to roasted chickpeas. Curry roasted chickpeas. Chickpeas have great nutritional value and are packed with protein and fiber, so this isn’t just a snack that will leave you feeling ravenous an hour later; they’ll actually tide you over until your next meal. Plus, they’re high in iron and magnesium, so you’re seriously helping your body out by indulging in these bite-sized bursts of flavor! To top things off, this is a super simple recipe to make, so you can indulge in this delicious, healthy snack practically without lifting a finger, win-win-win! Preheat oven to 400º F and line a baking sheet with parchment paper. Once you have thoroughly rinsed and drained chickpeas, place them on a clean dish towel, wrap up the towel and rub them together to remove outer skins and to make sure they’re fully dry. Note: if they’re still wet, they won’t be as crispy. Transfer chickpeas to a large bowl and stir in olive oil, lime juice, curry powder, chili, powder, paprika and cayenne. Mix together so everything is coated. Pour chickpeas out into a single layer on lined baking sheet, then place in oven and bake for 40 minutes, or until crispy. Me and hubby in Costa Rica for our Honeymoon 5 years ago!